Decks that are very low to the ground are called low-to-grade decks. Low-to-grade decks are suitable in so many situations and popular with a variety of clients, especially with those who have flat yards. 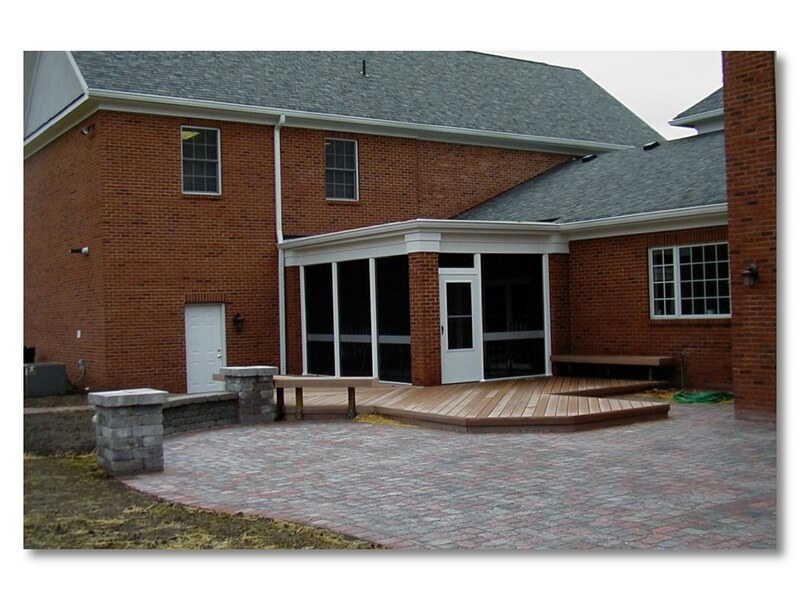 Mobility: Customers with friends or family with mobility issues love these decks because of their easy accessibility. Toddlers? Young grandchildren? Situated so close to the ground, they work well for families with young children. Dislike heights? For some people, being on a lower outdoor space is just more comfortable thank being on a more elevated space. Yoga anyone? A low-to-grade deck creates a “zen deck” feeling. Your dog or cat: If you have timid pets who dislike stairs or rambunctious pets who can easily scale tall sets of stairs in a single bound, a low deck might be the favorite for your pets. Transitions: today’s homeowners think about the whole picture. They think about how their deck transitions to their patio and how those spaces connect to their yard. A low deck welcomes you to the surrounding spaces with the easy transition. Flat yard? Is a patio a better choice? You don’t necessarily have to choose between a deck and patio. Deck, patio? Patio, deck? Which to choose? Archadeck can consult with you about the pros and cons of the various options. Working with a contractor that has installed many decks and many patios can help you decide which type of outdoor living space will work best for the way you want to live outside. Here is a little insight about both kinds of spaces. In general, a structure such as a deck is going to cost more than a patio. Obviously the building materials that you select will impact the overall cost, but the carpenters who build a deck are skilled tradesmen and are more expensive to hire than a patio installer. Another consideration is that in most jurisdictions a patio is considered landscaping and not an off-the-ground structure, so no permits are required. It may not sound logical, but decks lower than 18” from the ground can require more time and effort than a deck that is more than 18” off the ground. We use post and beam construction which is the most efficient way to build a deck, but at heights under 18” we have to excavate to fit all the necessary parts into that small area. Throwing one more number at you: railings are optional on decks under 30”. 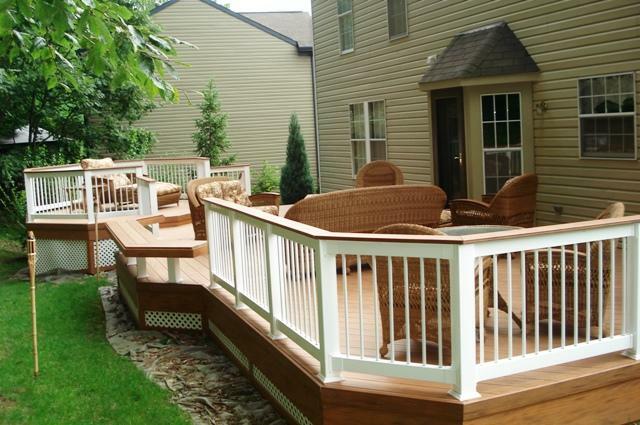 Decks and patios with fewer extras like railings and built-in seating are generally less expensive. Your vision for how you want to integrate pathways, landscaping, or other yard features will influence your choice. Ultimately, the kind of project you build should be driven by how you want to use that space. Regardless of whether you decide patio or deck or both, Archadeck of Columbus would love to meet with you to see your yard, listen to your concerns and preferences and then help design and build a project you can proudly call part of your home. Contact Archadeck of Columbus today to see how we can make creating your dream backyard an enjoyable experience, start to finish. The consultation is completely free. (740) 879–3730 or email us at westcolumbus@archadeck.net. We look forward to your call.